Jim is often quoted in the trade press as an expert on the commercial space market, aerospace market conditions, launch vehicles, Elon Musk and SpaceX, new business competitions and industrial base matters. Mr. Cantrell has also worked with political candidates and other staff members on space and defense policy matters where his broad view of the exterior political trends and their implications on the aerospace industry and industrial base has been valuable. Jim speaks four languages and spent several years each working in France for the French Space Agency and in Russia on joint US/Russian defense programs. Jim has held positions with NASA, the French Space Agency CNES, CEO of Vector Space, CEO of StratSpace, CTO at Moon Express, President of United Start Launch, President of Vintage Exotics and CEO of IDair, a bio-metrics software company. Jim is the author of twelve scientific research papers and popular articles on space related technical and business topics. He is also a known expert and author on the Maserati automotive marquee. He currently resides in Tucson with his wife Angela and his many children. 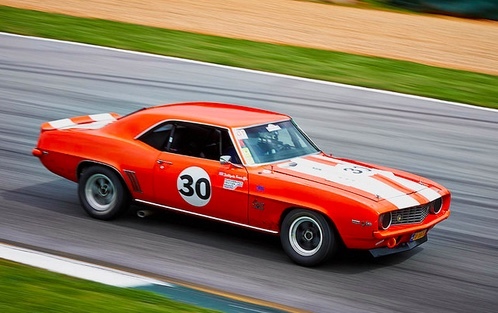 Driving a 45 year old Corvette at speeds up to 190 MPH on the banks of Daytona, this race team led by Jim and complemented by Barry Ellis and David Neidell ran against racing legends Bobby Rahal, Joe Foster and Brian Redmond. We finished 1st place in class beating Brian Redmond on the last lap. Glorious. Racing is in my blood. I was born with the affliction. From the first time I found myself riding something with wheels, I dreamed of making it faster. I grew up on a farm with a long downhill driveway that gave birth to my first wooden soap box derby cars. Having survived those contraptions, I graduated to go-carts and eventually drag racing in my teen years. If it had wheels, I would race it. In high school I would tell my mother that I was "going to the races" but left off the part about "and racing" .... in her bone stock El Camino. Bracket racing took its toll on her tires ! I returned to racing in 2005 at the Miller Motorsports Park and began pursuing a career in road racing. 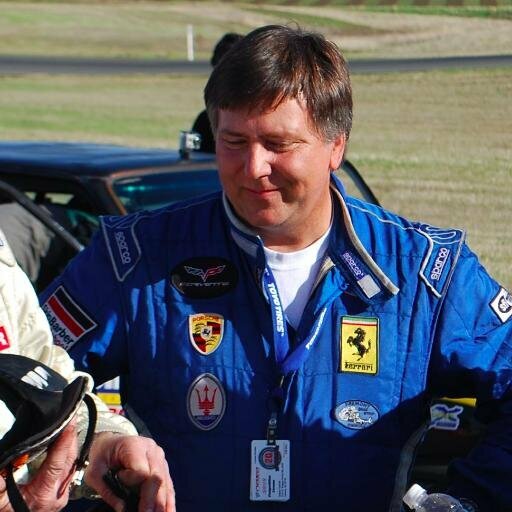 During this time, I have raced vintage and modern race cars in events such as the 25 Hours of Thunderhill, the 24 Hours of Daytona Classic, SCCA GT-1 Championship events and vintage races all over the United States. I have been the SCCA regional champion in Arizona in C Sports Racing 2 years in a row and GT-1 four years in a row. 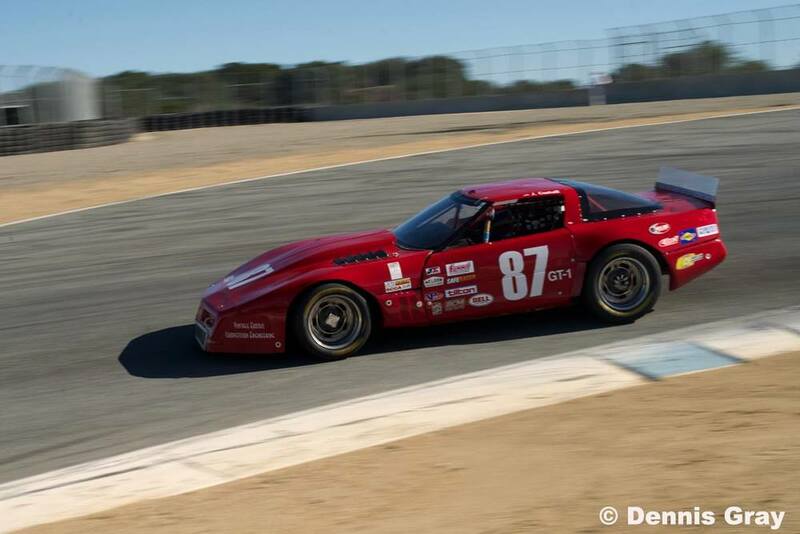 I have over 20 first place finishes and 30+ podium finishes in SCCA GT-1, Vintage and SCCA F Production. This video captures the ritual preparation for a race in a way that no other piece has ever captured it. Before you race, there is a preparation ritual that the driver goes through. Everything has an order and a way that it needs to be done. Its very uncomfortable getting in the gear but its a fundamental part of the overall preparation. Once you are in the gear, you head out to the car and you feel a little bit alien seeing and talking to people along the way. You are no longer in the same world with those you meet along the way. Its almost like being in a trance walking through the crowds. When you get into the car and get belted in, it hurts and remains uncomfortable until the engine fires and you head to the grid. Its almost intoxicating hearing the engine fire up and feel the car move under you. But, I'll you that at times it scares me to death heading into the grid. Its a bit like raising the sword for battle. I sit in the grid and watch the other cars pulling in or going by on the track and it does little to settle me in. I keep thinking to myself that this is the 'dumbest thing that I ever do'. As I sit in the grid awaiting the start of the race, I remain quiet in my thoughts and slowly descend into a trance, a state where I find an inner peace. Its the same cycle every time. I make my peace with my own God, whatever that is, and know that this is the best that I can do. At the one minute mark, the engine starts and I am thinking of nothing else but the machine as an extension of my very being. All the fears are gone and I am in a completely different state of mind. When we move out onto the track, it's now time for battle. The start of the race is the most dangerous time and the place for caution mixed with just the right amount of aggression. You must finish to win and wrecking at this point is both highly probable and highly wasteful. The first few laps set the pecking order for the battle to come and you begin to see your position unfold before you. The middle of the race is mostly a battle against yourself and the machine trying to not make a mistake and catching the slower cars one by one. The end of the race is about endurance and making the machine last as you settle into your final result. The machine talks to you and it's something best to be in tune with. The finish can be anything from your highest moment to your lowest moment. Racing has everything that life has to offer in a short 45 minute format. Like Steve McQueen once said, "Racing is life and everything else is waiting".